4 1/2 cups cranberry juice or cocktail. It’s important that it has cranberry juice and juice from two other fruits. 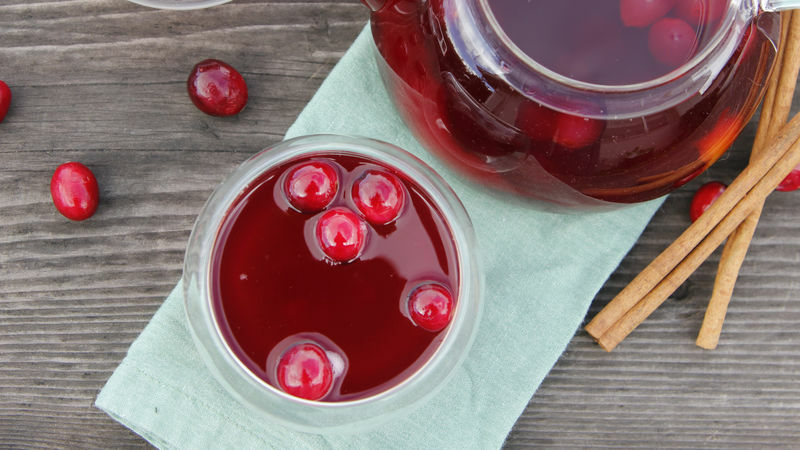 Pour the cranberry juice into a pot. Add the cinnamon, orange zest, sugar and fresh cranberries. Heat up over high heat until it starts boiling. Cover the pot and let it boil for 10 minutes. Remove from the heat and let it cool down for 5 more minutes, before serving. You can use yellow lemon zest instead of orange zest. If you want more flavour, add a clove while cooking.